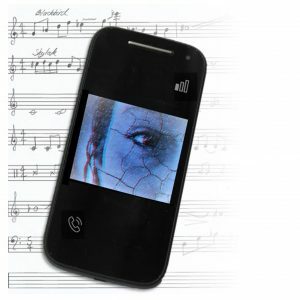 Cracked Voices – a song cycle created by writer Graham Palmer and composer Jenni Pinnock. Based on original research, this ‘incredible project’ (Cambridge105) gives voice to forgotten characters from the borderlands of Hertfordshire and Cambridgeshire. From Servandus waiting on his lost Celtic goddess, to the POWs celebrating Hitler’s birthday on Therfield Heath. From James Lucas’s confrontation with Charles Dickens to Joyce Hatto’s scandalous recordings. Composer Jenni Pinnock’s predominantly tonal music is ‘tantalizingly beautiful in smoothness and soul’ (Cloud and Owl). It features a tangle of quirky time signatures and memorable lines, focusing heavily on nature, science and the world around us. With the help of Miles Horner (Baritone), Donna Lennard (Soprano), Sue Pettitt (Clarinet) and Ralph Woodward (Piano), Cracked Voices premiered at Anglia Ruskin University on 10 March 2018. The second performance at Royston Methodist Church on 27 September 2018 saw the premiere of the Cracked Objects songs created by Year 10 students in our School workshops. Read about how the project progressed, details of workshops, performances and general musings on song cycles and stories, folklore and history on our blog. Alongside the song cycle itself, each song works as a stand-alone unit and some have been arranged for choir, giving a whole host of performance options. A CD, digital download and pamphlet our available from the Cracked Voices online shop. We are grateful to Grants for the Arts and the PRS Foundation for providing support and funding for the Cracked Voices project.